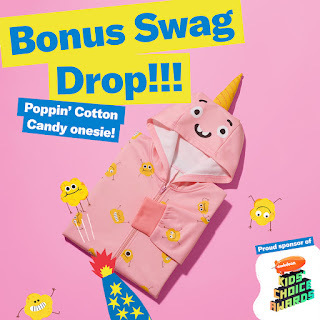 Cotton Candy Hooded Onesie Giveaway - 250 Winners. SHORT ONE DAY GIVEAWAY, ENDS 6PM TODAY! Cotton Candy Hooded Onesie Giveaway - 250 Winners. SHORT ONE DAY GIVEAWAY, ENDS 6PM TODAY! You can enter once every TWO hours. Enter right now then come back at 12PM to 2PM, 2PM to 4PM And 4PM to 6PM to enter again, max 4 entries. Should have a bunch of winners in this one. GOOD LUCK! !